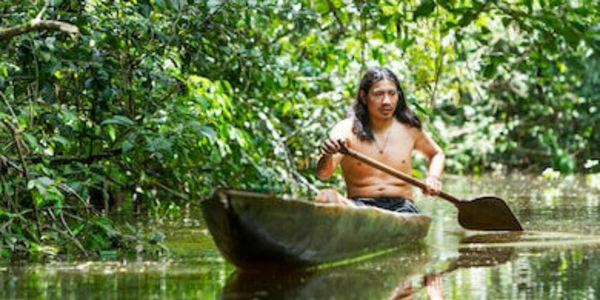 Petition: Stop Brazil's New President from Overriding Indigenous People's Rights and Destroying Their Lands! Stop Brazil's New President from Overriding Indigenous People's Rights and Destroying Their Lands! In the wake of Jair Bolsonaro&apos;s recent election to the office of President of Brazil, Cultural Survival stands in solidarity with the country's Indigenous Peoples for whom Bolsonaro&apos;s election has serious and life-threatening implications. During his divisive and polarizing campaign, Bolsonaro said "not one centimeter of land will be demarcated for Indigenous reserves or quilombolas [Afro-Brazilian communities]," and that Indigenous lands would be opened to economic exploitation, including agribusiness and mining. He has stated, "Our Amazon is like a child with chickenpox, every dot you see is an Indigenous reservation … and the Brazilian people applaud [demarcation of Indigenous land]. Look at these people, no political strategy!" He campaigned on statements like: "Let&apos;s make a Brazil for the majorities. Minorities have to bow to the majorities! The Law must exist to defend the majorities. Minorities must fit in or simply disappear!" He has made statements that incite hatred and violence: "To the people of Roraima state, in 2019, we are going to rip up Raposa Serra do Sol Indigenous Reserve. We are going to give all the ranchers guns." Environmental protections are also at risk. Bolsonaro made promises to ease "excessive" oversight by the country&apos;s environmental watchdog and combine the Ministry of the Environment and the Ministry of Agriculture and Livestock. Especially at risk are environmental defenders themselves. Already experiencing extreme violence from police, military, and private security of ranchers, those defending Indigenous land and the Amazon face increased militarism and violence. In his own words, Bolsonaro bragged, "I&apos;ll give carte blanche for the police to kill." We need to make sure that Brazil's new president is aware that the world is watching his actions and we want indigenous people and their lands to have full rights and protections!